A lightweight, matte finish, pore perfector which smoothes skin and minimizes the look of pores with a blend of powders that perfect the skin while skincare actives support improved texture and appearance over time. Formulated with Poppy Seed, Prickly Pear and Lily Extract, combined with a unique blend of powder, it leaves skin looking smooth, even, and poreless while feeling natural and fresh. 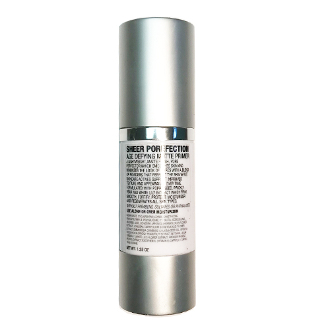 Poppy Seed Extract instantly firms the skin while Prickly Pear Extract’s high content of water-binding compounds makes it a powerful humectant that attracts and retains moisture onto the skin. White Lily Extract fortifies, protects, moisturzers and regenerates all skin types.